Planning a wedding can feel so overwhelming! 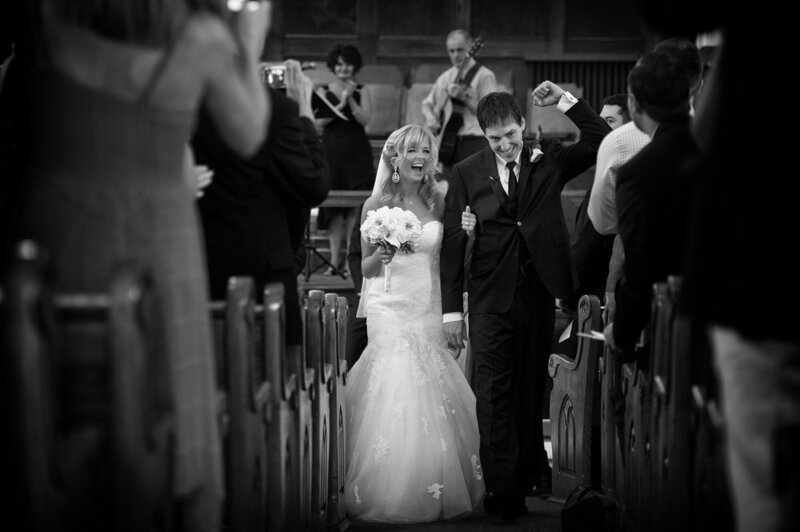 You want to feel confident that you’ll be able to remember your wedding fondly. You want to look your best and see your friends and family having fun. You want to have images that capture the excitement, emotion and details of the day that you’ll even be able to share with your kids one day. But planning a wedding can feel so overwhelming! With so many decisions to be made and so many options available - it can be a stressful time! …and why does everything cost so much?! Relive every moment, every nuance, every smile, and yes, even every happily shed tear. We would like to give you one less thing to worry about :) Ultimately, you’d want to be able to look at your wedding images five years from now and fondly remember everything about that amazing day. After all, when the dust settles, you’re left with your partner, your wedding rings and your pictures. It a big responsibility that we take seriously. As a married couple, we have shot well over 500 weddings from Newfoundland to British Columbia. We are full time professional photographers that know how to put you at ease in front of the camera and how to make you look good. We eagerly approach every wedding as a new opportunity to “wow” our clients and we would love to bring this passion to your wedding!  WOW! The photos look AMAZING! Thank you so much! Besides my choice in husband, you two were the best wedding decision I made. Everyone was commenting on how professional you both were at the wedding. My memories of the wedding are so magical and I knew it was going to be a tall order to do justice to those memories but you two did it!! All days but Saturdays from July - Oct.
How many files should we expect? You always work as a team? Kate and I are a married team and share a passion for photography and design; for two decades we’ve worked together to create unique visual diaries for hundreds of couples on their wedding days. Yes they are. We will provide a link to access and share the high resolution retouched files. How late do you stay? Full-day coverage includes up to 8 hours which usually covers getting ready for both the bride and groom, the ceremony, ‘formal’ pictures, the dinner/reception, first dances, a sneak-out at twilight and a little of the party. With full-day coverage we can stay as late as 9:30pm - please let us know if you require a later finish time. Half-Day coverage can work well for smaller, more intimate weddings or when you’re on a budget but don’t want to sacrafice qualilty. Five (5) hours are included and covers the ceremony and a ‘formal’ photography session along with either some getting ready OR some dinner/reception coverage. Yes! We travel within the three maritime provinces. Outside a radius of 50km of peninsular Halifax, there is a travel fee of $0.75 per km each way. How do I make the booking official? 2. Give you instructions on how to pay a $1,200 non- refundable retainer. The full amount of the retainer goes toward your wedding day creative fee. If you have any questions or would like to set up a time to get together whether in person or on the phone, we would love to hear from you!